So, I've been keeping secrets. 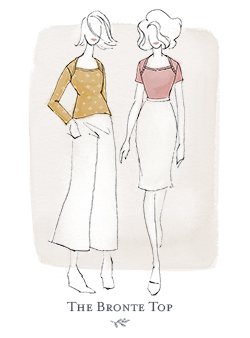 I've been busily working away on my first pattern for release, The Afternoon Blouse! Yes, I know - everyone and their cat (and/or dog, fish, rabbit, guinea pig, chickens...etc) have been releasing patterns lately, but after a few doubts and some sage advice, I thought 'Why not?!' and bit the bullet. 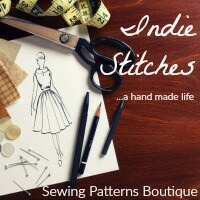 You see, sewing is my passion and I want to share it with everyone I possibly can. The worst that can happen is everyone hates my patterns and doesn't buy them, but at least I've had fun making them right? So, how did this all come to be? Well, it sort of started when I approached our local Recreation Centre about the possibility of teaching sewing classes there (oh yeah, did I mention I'm going to be teaching sewing classes starting on Monday? YAY!! Except, more nervous dancing - what if I forget how to sew?). 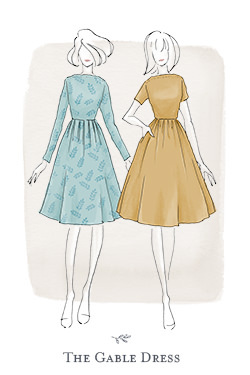 I wanted to teach two classes initially to gage reaction to them, one a Learn to Sew class and the other an Introduction to Dressmaking class. For the latter, I decided that I kind of wanted to teach my own patterns and so away I delved, into the relatively unknown. Cue: huge learning process here. These patterns were originally going to just be for my classes, but then I realised what a whole buttload of work was going into one little pattern, that I wondered if I should sell them too. Just in case, you know, any of you wanted to make one! So, my first pattern, The Afternoon Blouse. 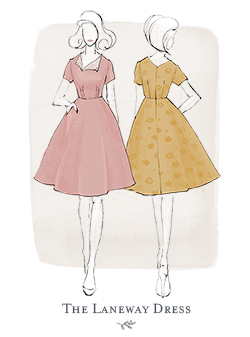 I guess you could sort of call it a retro-vival pattern, as it is based off an original 50s pattern. However, I had made a number of significant fit changes to my original Afternoon Blouses and I've made even more changes to the pattern that I'm going to be releasing. 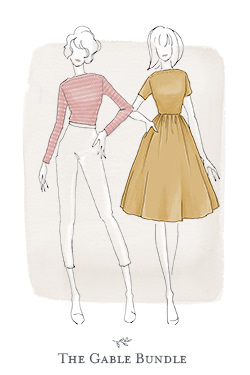 I've made it easier to construct, have drafted a second neckline option and have made the overall shape and design of the blouse more modern so it should blend in well with a vintage and modern wardrobe. 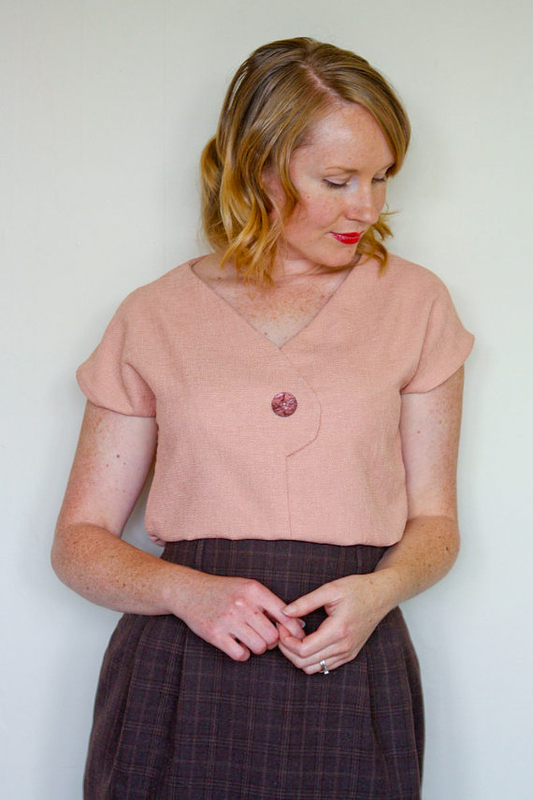 It is a beginners pattern but for the advanced sewer, you should be able to make the blouse in an afternoon - hence the name, but it's also kind of perfect for receiving afternoon guests and for just kicking around in on a lazy Sunday afternoon - making for a quick and satisfying make. 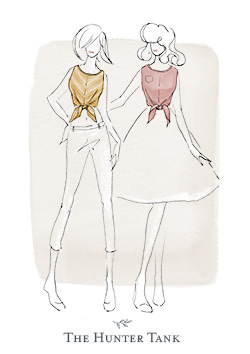 As I said above, the blouse has two necklines to choose from, a round version and a square version. The Button detail on both versions is decorative (aka non-functioning) and it also has my very favourite, soft 1940s style kimono sleeves. While the blouse is designed to be tucked into high waisted skirts and pants, it looks equally cool worn with jeans and sandals for the modern gal. Really, it's the perfect flowy blouse for those of you heading into summer, and you can make it up in luxurious silk or a practical cotton. Both work perfectly! 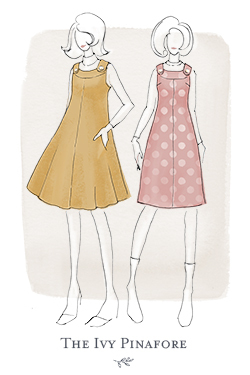 The pattern is currently with my lovely testers at the moment and it will be available in the next week or two. 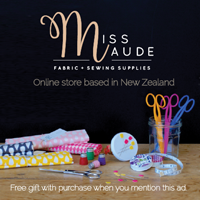 At this stage, I'm only going to be releasing it in PDF format, however, if there is enough of a demand for paper patterns, then I'll certainly look into getting them done as well. 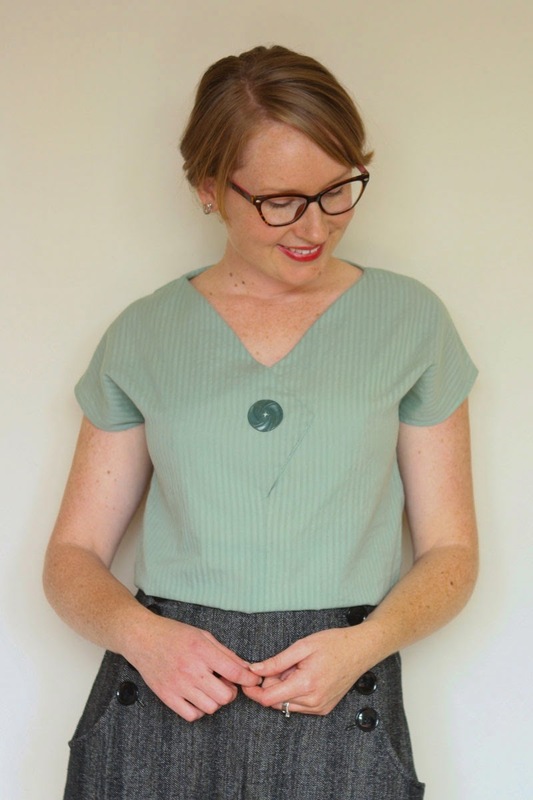 AND if you don't sew, but want one, I'm going to be taking orders to make custom Afternoon Blouses for all! Ain't no reason why you non-sewers should miss out, right?! 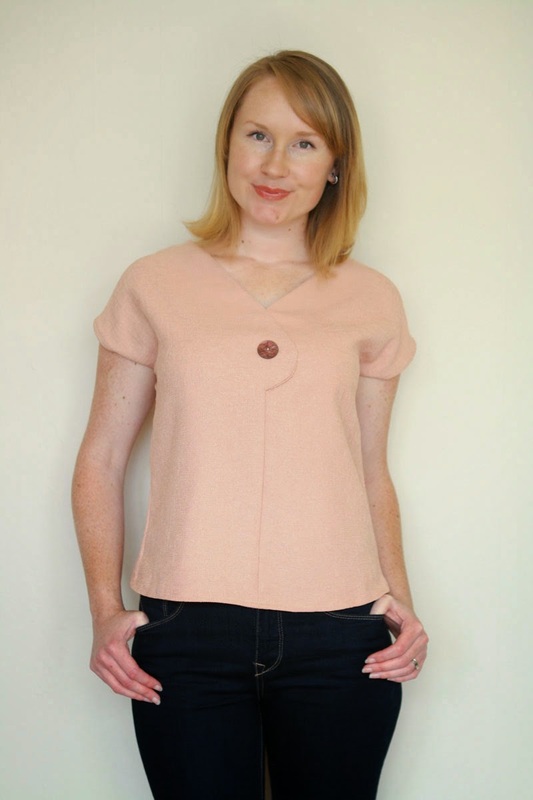 The Afternoon Blouse ranges in size from an NZ6 right through to an NZ20. 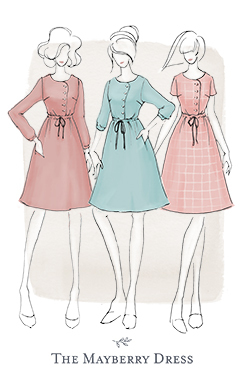 So, keep an eye out for when the pattern is officially released for download straight to your computer - I'll be announcing it right here! I'm also pretty sure there'll be a giveaway somewhere in there as well. 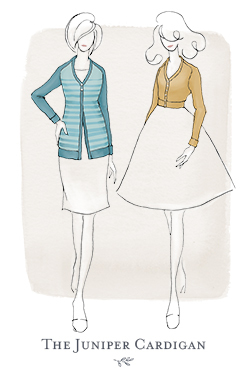 68 comments on "The Afternoon Blouse - Pattern Release Sneak Peek..."
Squee!!!!!! Your own patterns? That's wonderful! Way to go!!!!!!! Thanks Gillian!! It's exciting, but also incredibly nerve wracking!!! Deb - YAY! It's such a relief that you can imagine wearing it and that it will fit into your handmade wardrobe. Eeek - exciting! I cannot wait to see your finished version! This is beautiful! I love the seam and button detail at the front. Can't wait for the release! Congratulations!!! So cute! And yes, very covetable - and those lucky new sewing students, they'll be hooked after your courses! I hope so! I've just got to get that whole 'public speaking' think down. Thanks for the vote of confidence, I definitely need it! Good luck with your classes too! Wow, this is so cool! I love it tucked into a pencil skirt, but I'm glad it looks equally good with jeans/ skinny trousers as that's pretty much what I live in! This is definitely being added to my queue of patterns to buy/make! 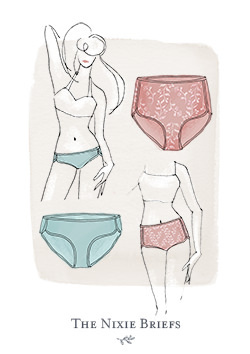 Love it - will definitely be getting the pattern when you release it! Yay, music to my ears Diane!! Id like to put in a little nod to a paper pattern! Im a non printer owner and love the blouse! Well done Jen, looks amazing! Lovely blouse with infinite possibilities! Congrats on your new venture!! It's very cute, and your fabric colour are very beautiful to. I definitely like to make one or more for me. The circular case, is very beautiful. I fell tat I am repeating my self and that my English is very dampened today from lac of sleep but what a really wanted to say is very well don and congratulations. Woo hoo! How exciting! It's really pretty - might be enough to get me to cut into a beautiful silk cotton remnant I've been hoarding for the right garment! That's so exciting! And a beautiful debut pattern, can't wait to see everyone's take on it. YiPPPPPPEEEEE! So excited!!!! Such a classic blouse! Congratulations! That's very brave. Well done you, so exciting to be starting out on a new venture. Great blouse. This is gorgeous, ka pai! Simple but interesting and not something I could just draft myself easily. And I've been in desperate need of blouses (and ways to use novelty buttons). 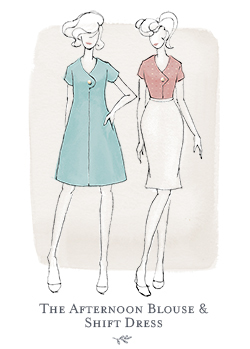 Am very happy to hear about the size range - some friends and I have been complaining/lamenting about the lack of plus sizes available in indie sewing patterns. Jen this looks great - I love the detail at the front, and I do love me some kimono sleeves! It's nice to see something really different in design - not that I'm against a bit of Peter Pan action, but variation is the spice of life! Look forward to seeing the full release! That is darn CUTE! Love it! It's a cute top! Congratulations on taking the plunge and releasing the pattern! This is so cute!!!!! Congratulations- I'm excited about the release! 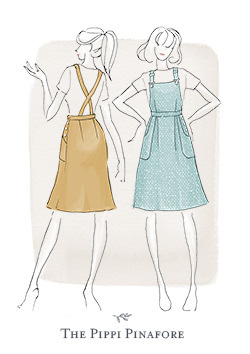 Congrats on getting your first sewing pattern almost done! Can't wait for the final product to be released! Congratulations on your first pattern! 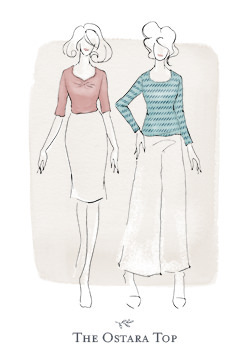 I've been keeping an eye out for McCalls 3030 since you first posted about that pattern, so I'm very keen to try your afternoon blouse when it's released. This pattern looks really cute, and I'm pleased to see that you're going up to an NZ20 (which I'm guessing is the same as an Aussie 20)? I already have the PERFECT button for it! Adorable! I'm sure it'll be a big hit! This is beautiful!! I can't wait to make one for myself! Congratulations! The top is amazing. Want. it. now. I can't wait until it's release! I love it! I'm sooo happy for your recent sewing endeavors. How exciting! I'm really looking forward to this blouse because I love those kimono sleeves but I often have trouble making the shoulder right without using a shoulder pad, as called for. Thanks for releasing it for everyone! It's lovely! How exciting, congratulations. Look at you! How exciting to release a pattern. I've always dreamt of writing a knitting or crochet pattern. One day maybe. Super cute blouse! Jen Thats amazing! That little blouse is so cute, If you ever need a curvy tester let me know! Oh wow - how exciting!!! Your blouse looks lovely, the button detail is so cute. 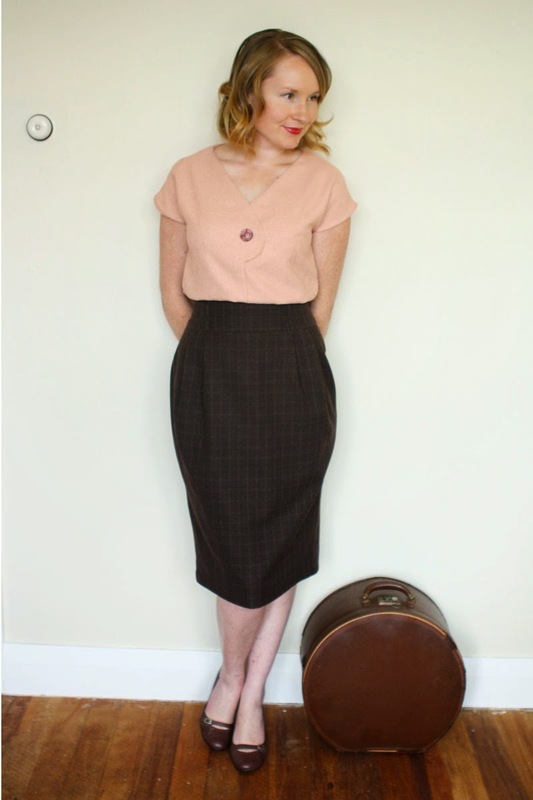 And I really love it tucked into a pencil skirt...I've actually been looking for a blouse pattern to pair with the pencil skirts I'm planning on making. 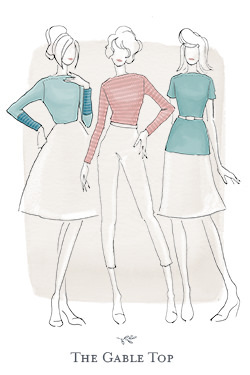 All the best with your pattern release - and your new sewing classes!!! Excellent job...I can see this doing the rounds on the blogosphere! I really am in awe of anyone who makes the decision not only to make a self drafted pattern, but then to also make it available in multi-sizes. Go you! It is retro modern but I think a lot could be done with what I see to fit a number of wardrobes. Looking forward to your release. Wow such exciting times. The blouse looks beautiful. Congrats on the classes, teaching is so much fun, I would like to get into it more once we finish building our house, I did a bit last year and loved it. You'll get so many funny questions that you think are silly but of course will have to answer seriously. Good luck!! This is absolutely lovely :) Can't wait to make one. Good luck for the classes. Your pupils are very lucky.